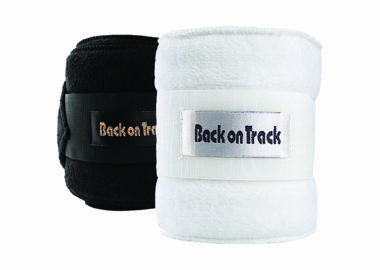 The Back On Track Performance Bells Boots are a “no turn” style great for use during exercise or turnout. 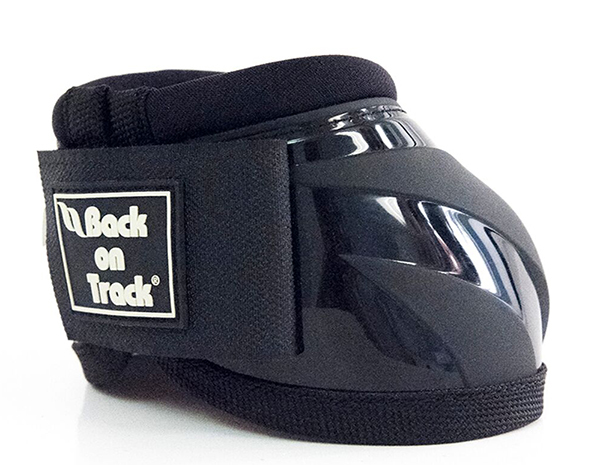 The Back On Track Performance Bell Boots are a “no turn” style great for use during exercise or turnout. 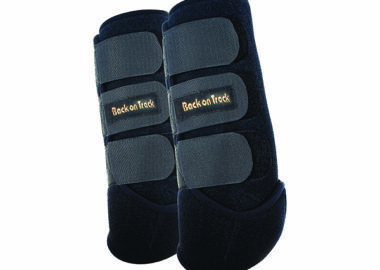 Made with our Welltex material, these boots may help reduce inflammation and soreness while your horse is in motion. 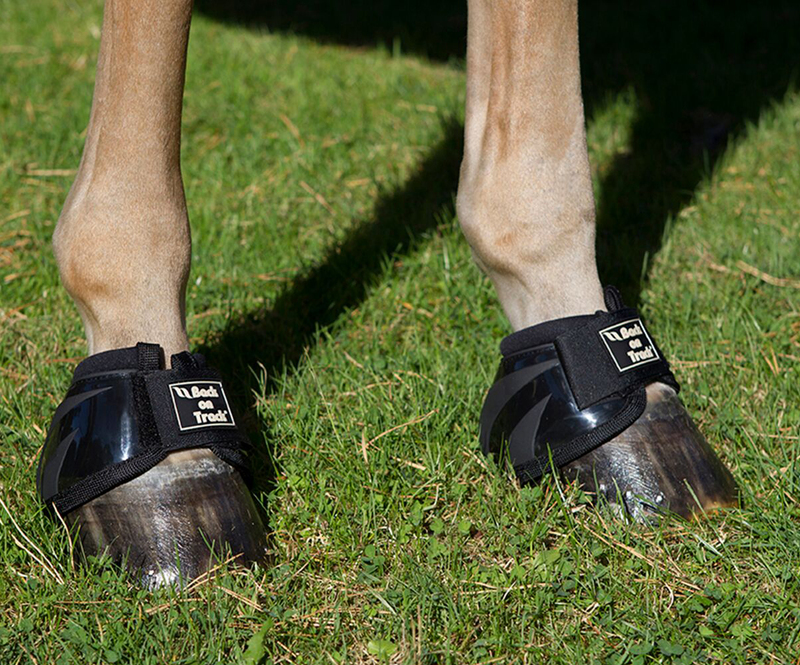 Our Performance Bell Boots have a thick rubber exterior protecting your horse’s hoof. Sizing: For best fit measure the circumference of the bottom of the pastern directly above the hoof. Top (A) 9" 9.5" 10.5" 12"
Bottom (B) 14" 14.5" 14.75" 16"
Drop (C) 4" 4" 4" 4"
Our Therapeutic Polo Wraps are extremely durable and contain more elastic than traditional wraps so they contour to the leg better, provide excellent support, and don't shift or rub. These boots are ideal for hind legs. 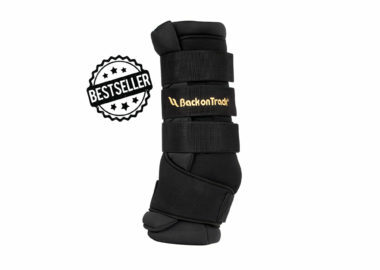 Made of our Welltex material and neoprene, coupled with a hard outer shell, these compliment our Royal Tendon Boots nicely. Available in sizes SM - LG. 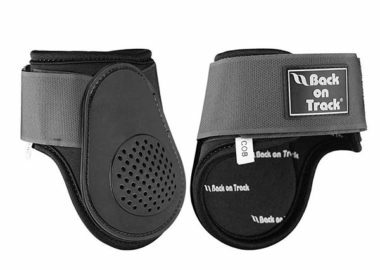 Leveraging the power of Welltex technology combined with neoprene, these boots are highly durable and use your horse's body energy to stimulate blood circulation.